Take route D9 off D30 which connects Aups to Montmeyan. 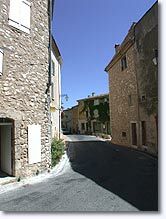 Baudinard is a village set halfway up the hiIls near the entrance to the Verdon canyons and is close to the lake of Sainte Croix. 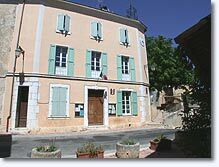 Because of its exceptional natural environment and its interesting history, Baudinard is one of the treasures of Verdon. 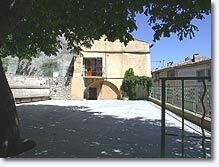 The prehistoric finds in the caves of Baumes (closed to the public) are exhibit at the archeological museum in Quinson. 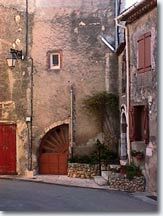 The village in itself is interesting to visit for its vaulted passages, its ramparts, and the beautitul old houses nearly each ot which has vaulted cellars and an interior well once filled by rainwater. Don't miss the canyon of Baudinard! It is practically a street of turquoise water lined with cliffs of 100 - 150m. high, pierced with caves. Beware to those who fear heights ! 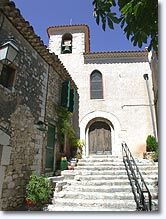 the chapel of Notre Dame de Garde (16th.c.) from which one can see 6 departments! Hiking, horseback riding, bike riding (GR9J). Cyclo-tourism. Tennis. and climbing in the Verdon canyons. 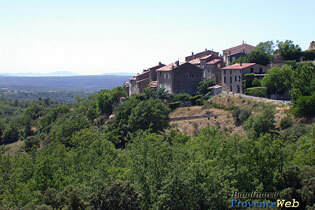 Moissac-Bellevue (7 km), Bauduen (12 km) and Régusse (11 km).